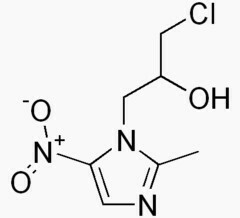 Tiberal is a drug from the antiprotozoals category of medications, containing the active ingredient Ornidazole. This drug acts by killing the invasive bacteria or amoeba causing an infection in the patient’s body. The following guide is for informational purpose only. For specific information regarding this medicine, as well as for specific information regarding your case, you should consult your personal health care professional. Tiberal is commonly prescribed for the treatment of certain types of intestinal, vaginal or urinary tract infections, as well as other infections caused by bacterial agents or by amoeba. This drug may also be prescribed as a prophylactic agent in order to prevent such infections, especially as part of surgical prophylaxis. In some cases, the examining health care professional may decide to prescribe Tiberal for the prevention or treatment of other medical conditions as well. If you would like to obtain more information on why you have been prescribed a treatment with this medicine, you are advised to consult the prescribing health care professional. You should not be prescribed a treatment with Tiberal if you suffer from an allergy to this drug or to any of its ingredients. As such, you are strongly advised to inform the prescribing health care professional of any substances you are allergic to: drugs, foods, preservatives or dyes. Patients suffering from certain medical conditions such as epilepsy, liver disease or multiple sclerosis might not be able to start a treatment with Tiberal. It is recommended to make sure that the prescribing doctor is familiar with your general health condition as well as your medical history before starting a treatment with this medicine. Tiberal may not be safe for use during pregnancy or breast feeding. Patients found in any of these situations should discuss the benefits and the risks of the treatment with their personal health care professional before they start taking this medicine. It is strongly recommended that you closely follow the Tiberal intake guidelines that were given to you by the prescribing health care specialist. The intake schedule may vary from one case to another, depending on the infection that is being treated as well as on several other factors. You should set up a strict medication schedule in order to avoid missing any Tiberal doses and you should make sure that you do not exceed the recommended dosage. The prescribing health care specialist will inform you regarding the Tiberal dosage most appropriate to your case. On average, the adult dosage is of three tablets (500 mg each) per day, taken in the evening for up to three days �C the duration of the treatment course as well as the exact dosage may vary depending on a number of factors particular to your case. Patients that are undergoing haemodialysis are generally prescribed larger doses of this medication. Children undergoing a treatment with Tiberal will have the dosage determined by the prescribing health care professional depending on their body weight (on average 25 to 40 mg per kg) and will take the medication for up to ten days, depending on the infection being treated. As a prophylactic agent during surgery, the average dose is of three tablets (500 mg each) taken 12 hours before the operation. After the operation you may need to take one Tiberal tablet at 12 hour intervals for an additional three to five days. It is strongly advised that you do not exceed the prescribed Tiberal dosage, as this may result in severe complications. You should avoid taking larger doses of medication or taking the drug more frequently than prescribed. If you accidentally take a larger dose or if you have other reasons to believe that you may be suffering from an overdose with this drug you should immediately contact your personal physician or call the local poisons center. In severe cases, you may need to go to the nearest medical facility in order to seek emergency medical attention. In case you miss a dose of Tiberal, you are advised to take it as soon as you remember, unless it is almost time for the next scheduled intake. In such situations it is best to skip the missed dose and continue with your normal intake schedule. You may want to consult your personal physician in order to see if any special actions need to be taken. In order to minimize the chances of missing any Tiberal doses, it is best to set up a strict intake schedule. Your personal physician may help you with advice on setting up a proper medication schedule. Some patients may experience some side effects while following a treatment with Tiberal. Among the most severe are allergic reactions; you should immediately stop taking this drug and contact your personal physician if you experience any signs or symptoms indicating an allergy (such as rashes, hives, breathing difficulties or swollen face, tongue or lips). Apart from allergies, other severe side effects that may occur are seizures, loss of consciousness, poor coordination or rigidity. More frequently, less severe side effects occur �C such as nausea and vomiting, headaches, sleepiness, dizziness, skin reactions or tremors. This is not a complete list of all the possible side effects associated with Tiberal. If you experience any unexpected effects you should contact your personal health care provider in order to further investigate the situation and decide upon the course of action to follow. Interactions between Tiberal and other drugs are possible. Blood thinning medication such as Warfarin or muscle relaxants �C for example Vecuronium Bromide �C may interact with Tiberal, causing unwanted reactions. As such it is best to inform the prescribing health care professional of any drugs you are currently taking before starting a treatment with this medicine.